The inhabitants of the French village of Fromelles have decided to start an association to create links with the Buckinghamshire village of the Lee. Newspaper La Voix du Nord Nine reports that nine soldiers from the Lee died in the Battle of Fromelles during World War I. Community leaders from the two villages plan a series of exchanges and representatives will be invited to attend the inauguration of Museum of the Battle of Fromelles, scheduled for 19 July. 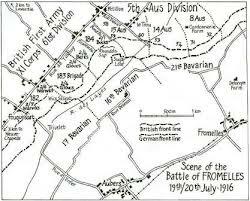 This entry was posted in Events and tagged 1916, battle, Buckinghamshire, Fromelles, the Lee. Bookmark the permalink.